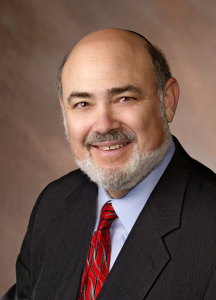 NAIFA-Florida’s Howard Rosenblatt, JD, CLU, ChFC, LUTCF, JD of Gainesville, is one of 22 lawyers who will be recognized for their work on behalf of low-income and disadvantaged clients at a February 7 ceremony at the Florida Supreme Court in Tallahassee. According to a Florida Bar news release, in 2014 Rosenblatt agreed to help a woman in a complicated probate case. Her 94-year-old aunt had died, leaving her as the personal representative of the estate. The estate was small, but the task was huge. Rosenblatt went on a two-year search for members of a large, splintered family, finding relatives in Alaska, Montana, Texas and New York, as well as closer to home in Alabama, Georgia and Florida. A family tree was created, with the help of high school records, online sites and an heir-search company. Rosenblatt helped discover 52 heirs, and in the end those heirs not only shared in the estate but also discovered each other as well as the legacy of the aunt. A member of The Florida Bar since 1982, Rosenblatt focuses one state planning, probate, guardianships and elder law. He is a 34-year Life member of MDRT and has served as president of the following organizations: NAIFA-Gainesville, North Central Florida Estate Planning Council, the Society of Financial Professionals, and the Clare Gehan chapter of the Florida Association for Women Lawyers. In 2014, he retired from AXA and now focuses on his law practice. He is currently the President and CEO of Florida Lawyers Legal Insurance Corp. (FLLIC) and co-founder and President of Florida Legal Insurance Plan (FLIP). Rosenblatt has been a pro bono volunteer for more than 20 years with Three Rivers Legal Services. He also accepts referrals from the Ocala Office of Community Legal Services of Mid-Florida. Rosenblatt earned his J.D. from the University of Florida Levin College of Law and is of counsel with Bogin, Munns & Munns, P.A., in Gainesville. More recently, Rosenblatt was honored with NAIFA-Florida’s C.G. Snead / J.F. Bryan, III Memorial Award for Outstanding Service, recognizing him as the “Financial Advisor of the Year” in Florida for 2018. It is NAIFA-Florida’s top award. This year’s Pro Bono Award ceremony is scheduled for Thursday, Feb. 7, at 3:30 p.m. at the Supreme Court of Florida in Tallahassee.Watch it live at http://wfsu.org/gavel2gavel as well as on Facebook at www.facebook.com/floridasupremecourt.